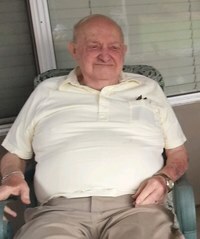 George Elmon Wilson, age 84, of Maysville, GA passed away Tuesday, September 18, 2018. He was a native of Bonnertown, TN, a member of Maysville Baptist Church, a 50 year 32nd Degree Mason and Member of the Order of the Eastern Star in Commerce, GA.
Mr. Wilson was preceded in death by his parents, George W. and Viola Golden Wilson; one daughter, Karen Marie Wilson; one son, Michael George Wilson; two grandsons, Stephen Prince and Danny Prince, Jr.; three brothers, Otis Wilson, Doice (Red) Wilson, and Larry Wilson; and three sisters, Rebecca Beckham, Jean Parker, and Corriene Rich. He is survived by his wife of 66 years, Claudia Marston Wilson; one daughter, Linda Wilson Prince (Dan); three sons, David Wilson (Nancy), Barry Wilson (Julie), and Alan Wilson (Susan); 18 Grandchildren, 36 Great-Grandchildren, 2 Great-Great-Grandchildren, one sister, Valerie Fortenberry; and numerous nieces and nephews. Pallbearers will be his grandsons. Arrangements are being handled by Neal Funeral Home, 231 N. Military Avenue, Lawrenceburg, Tennessee. The family will receive friends from 6:00 PM to 8:00 PM Friday, September 21, 2018 at Neal Funeral Home. Funeral services will be conducted at Neal Funeral Home at 11:00 AM Saturday, September 22, 2018, with T. R. Williams officiating with a Masonic Service to follow. Interment will follow at Freemon Cemetery in Leoma, TN.